An alarm system is a strategically installed early warning system to let you know that your home and your family may be in danger. 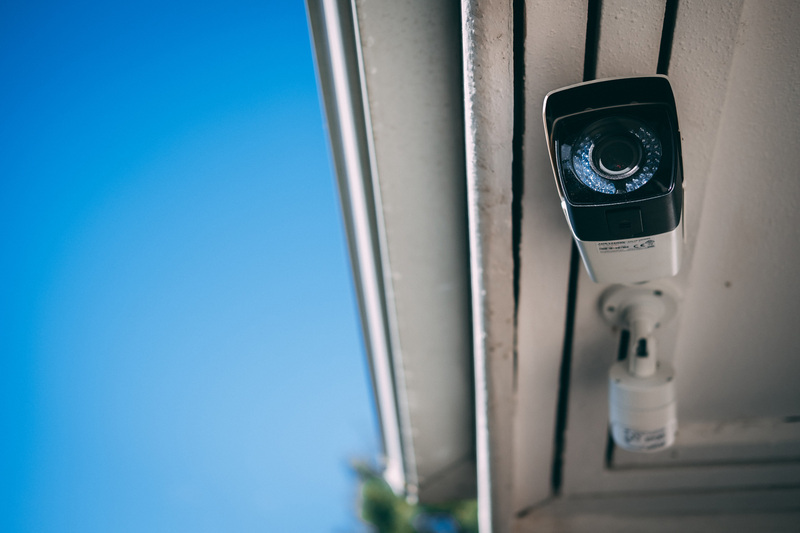 With our expertly installed cameras, digital surveillance and recording systems, you can monitor everything that is happening, both inside and outside your house. From integrated intercom systems to gate access control, we put you in charge of who comes in and out of your property. “I would like to thank you for your efficient, professional and all round willingness to assist my wife and I in ensuring we have a secure home, complimented with state of the art equipment. “Firstline Security Solutions have installed my alarm system and camera monitoring. They were efficient, and non invasive in my home. Their workmanship is fantastic, they are neat, precise and every step of the plan was clearly explained. They are a forward thinking team and work very well with the monitoring services in my area. “Firstline Security Solutions lewer uitstekende diens met versekerde nasorg. Die tegnikuste is deeglik opgelei en die gehalte van werk is van hoë standaard. Dennis en sy personeel is vriendelik, op tyd en absolute raakvatters in verskeie projekte. “This letter serves to confirm that Dennis Vaughan at Firstline Security, along with his installation team conducted an inspection of our new warehouse facilities and effectively provided security solutions. A state of the art alarm system was installed to comprehensively cover the offices and warehouse in excess of 800m2. Dennis was a pleasure to work with and it is my opinion that the quality equipment provided, along with the installation thereof was made affordable and complied with the highest levels as requested by our insurers. The basic elements of a traditional alarm system consist of an alarm control panel (the brain), keypad, back-up battery, transformer proximity sensors (magnetic contacts on doors and windows) and PIR (passive infra-red) sensors that pick up movement in your rooms. We are able to assist you in designing a traditional alarm system that will cover your complete internal-security needs. If you are wanting to secure out buildings (guest cottages), we can install a wireless alarm system that negates the need for cabling and allows us to use digital, wi-fi and radio systems. These systems are easy to re-position, should your security needs change. If you have a large area surrounding your property, or find yourself in a high-risk area, you may want to add an early warning system onto your security solution. Our systems are flexible and reliable, offering you a fully customised and trustworthy option to enhance your security. All of our security solutions can be linked to your choice of Armed Response or 24 Surveillance service providers. We work with the top security companies in Cape Town and can install a system that will trigger an alert in the control room. There are several options to choose from when it comes to making the right decision for your CCTV requirements. Most of the attention these days is focused on the transition to IP (Internet Protocol) technology, however it is important to note that Analogue HD CCTV solutions are still highly effective means of surveillance, especially with the breakthrough in new technological enhancements. A member of our team will happily conduct a survey of the property that you are looking to have CCTV installed and give you the best advice from our extensive experience. This is a cost-effective CCTV solution that offers surveillance to match your budget. Analogue High Definition (AHD) CCTV has changed over the years. At Firstline Security Solutions we are able to offer both AHD and IP (Internet Protocol) solutions. IP based cameras are the future for all CCTV solutions. The benefits of IP over Analogue CCTV systems include greater flexibility, better performance and vast image quality difference. IP CCTV systems convert the images from the cameras to data and have no real limit to resolution prospects going forward. IP cameras are able to offer high detail image quality. Our intercom systems provide outstanding audio quality and boast state-of-the-art design. From one-to-one systems for standard home or office setups to multi-component installations for several communication points, our team can advise on and install a suitable solution for your needs. Seeing who’s at the front door, and who’s behind them, can be crucial to your security solution. Our video intercom systems provide exceptional video quality, allowing you to control what you see, not just what you hear. Getting out of your car to open and close your front gate and then do the same for the garage door is not only a hassle; it can be a huge security risk. For a reliable and durable automated gate and garage door automation solution, chat to us today!